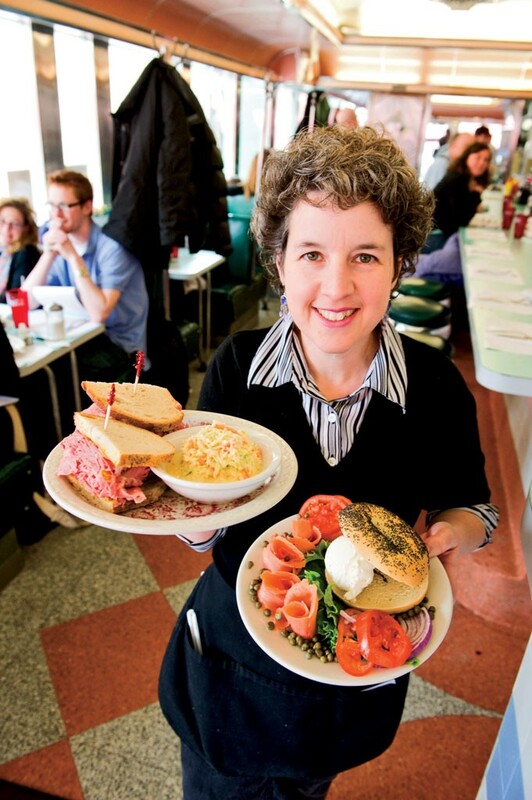 The bacon cheeseburger isn't exactly kosher — and neither is the owner, Glenn Walter — but for Jews in the Burlington area, Sadie Katz Delicatessen is a godsend. 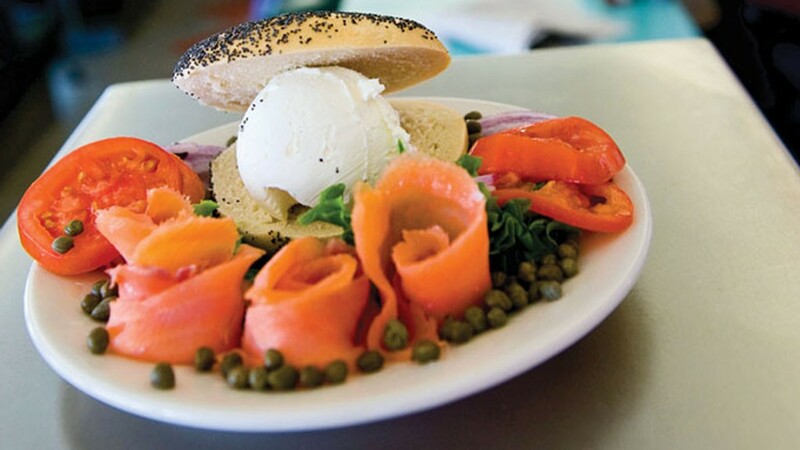 With specialty items shipped in regularly from New York City, the diner-turned-deli supplies the Queen City with whitefish salad and lox, H&H bagels and Dr. Brown's sodas. That said, you'll find plenty of goyim noshing on the all-beef dogs, egg creams and mouth-stretching "N.Y.C. Huge" sandwiches in the Art Deco diner car, which is decorated in shades of pastel green and pink. Want the pastrami fatty and the coleslaw on top? No problem. For an extra buck, you can add a liver "schmear." Slide into a booth or sit at the counter. There's also an active takeout area, where DIY sandwich makers stand in line for pounds of roasted brisket, tongue and chopped chicken liver. Folks fixing brunch at home can pick up bagels and smoked salmon. Even while dishing up crisp, onion-studded latkes, the Bank Street eatery acknowledges its predecessor: the Oasis Diner. There's a Greek omelette on the menu, for example, as well as buttermilk pancakes and breakfast sandwiches. Disparate traditions playfully combine in a pastrami Benedict on rye, served with a latke. One omelette comes stuffed with corned beef, mushrooms and Swiss cheese. The service can be a little brusque when the place is slammed, but that's New York, too: nothing to kvetch about.